What’s the status on today’s citizen journalism? And what are the potential consequences of writers trying to push a particular narrative? Andreas Mattsson participated in a talk show during The Festival in Malmö. The talk show was hosted by the journalist and behavior analyst, Amal Aziz. Afrah Nasser – Multi-award-winning Yemeni freelance journalist and blogger focusing on human rights violations. – I am thrilled to take part in this year’s The Festival gathering and be part of a media community that cares about making connections across the world between press freedom advocates, media academics, journalists, citizen journalists & activists. As a journalist in the ”fake news” era, my job is to challenge propaganda tools in the world – and I know The Festival is a great place to share that message in. Ramy Essam – Egyptian musician who became internationally known for his controversial music and performances during the Egyptian revolution in 2011. He has since been a global symbol of social activism for human rights, gender equality and freedom of speech. – People always has thoughts and wishes and dreams and words in their head. Music is the tool that will turn any of these thoughts or wishes into action. Andreas Mattsson – Program director at the School of Journalism (Lund University) and freelance journalist. Over the past years, he has initiated several projects aiming to create diversity within the media landscape. – Since I believe diversity is a must, in the society, in the culture and in the media, I do think that The Festival is a great place to hang-out and broaden the ideas by learning from each other. 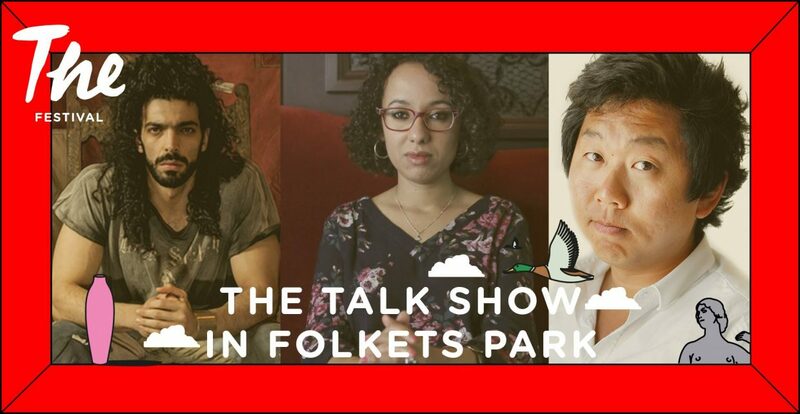 I am excited to be part of this talkshow where it seems that all of us think that diversity must be practiced, and not only spoken about. I think that is a great starting point for a very fruitful hour together.